Indians need to care about sports, not just the medal tally. 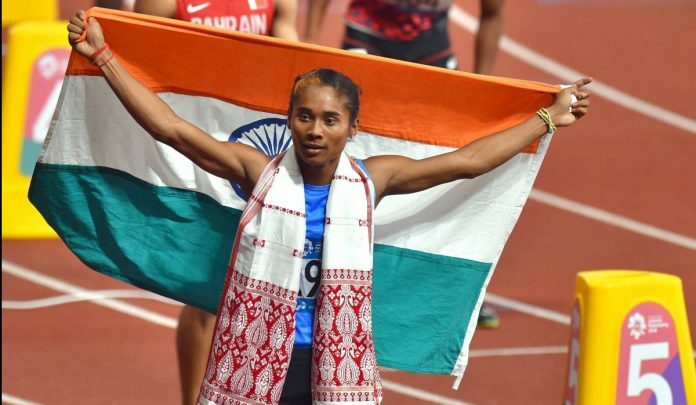 With the Asian Games 2018 in Jakarta underway right now, my phone has been buzzing with just basic, brutal tallies of the golds India won, and the silvers it ‘settled’ for. If it wasn’t for the news apps and the tally updates, I probably wouldn’t even know that India is participating (and in many cases, surpassing expectations) this time around. Sports in India suffer a curious case of appropriated glory. When our people win, it’s because they’re from this country. When they lose, it’s because they’re from this country. No one claims ownership of the grunt work required to produce sportspeople. Everyone claims praise for producing supernovas who win­– so where do the little stars go? Who sees them shine, for however brief their moment under the sun is? The abject lack of care offered to sports in India is rankling. Unless someone is winning medals, or creating controversy, or playing a popular sport like cricket, they’re relegated to the lesser-loved corners of the state’s psyche. We only care for the champions, not for the people that they are. These champions are heralded till they’re giving us returns on the interest we invest in them – in the form of newsbytes, and as placeholders when our ‘real’ heroes aren’t around. As soon as they cannot be harvested for these anymore, we forget them. Think of Sita Sahu, a young 2011 Special Olympics gold winner who is now a gol-gappa seller, or Santhi Soundarajan, who after being forced to go through a dehumanising ‘gender exam’, was reduced to a brick kiln worker. In a country already geared to be biased against women, these women rose against the odds and won. For us. They trained and sacrificed, and just when it seemed like there was a glimmer of a life beyond what they were afforded because of their sheer hard work, this hope was torn away from them. These are, of course, cases of breathtaking apathy. It doesn’t always start this way. It’s the small acts of unkindness that take their toll. From a media that doesn’t care (because its audiences don’t) to political will that is keener to push murder-accused MLAs into positions of power in the world of sports, to a system that will spit you out without much to show for it if you don’t win medals– it all culminates into a decision: Do you continue facing this debasement and insult to do what you love? Or do you just give in to an ecosystem constructed to let you down? The story of ace archer Nisha Rani Dutt, who sold her equipment for a basic standard of living, feels like an almost Dickensian commentary on the sorry state of Indian sports today. When a sportswoman has to give up what she threw herself into for a reason as easily resolvable as decent living space, one does wonder. Is it really worth it? Then again, can we begrudge people like Shailaja Jain and proclaim them treasonous when other countries like Iran snap their talents up and give them the respect that India should have? What, if anything, can we do about this? Captain Sunil Chettri’s plea Sunil to India comes to mind. He said, “Abuse us, criticise us but please come to watch the Indian national team play.” Because that’s what every sport truly needs, doesn’t it? A witness, and someone who stays even when the stadium lights have been dimmed. Someone who cares about the wonder of a sport, not just the medals tally it leads to. Maybe that’s the least we can do. We can care. Harnidh Kaur is a poet. Comment:An eye opener. Should make people to get rid of their obsession with a game played by only a handful of countries. Why do we have this post by this author? Who is she, what is her authority to write about sports? The Print seems to have really low editorial standards. More focussed on showcasing people who are popular on twitter, without having any real substance.